Discover the Simple Exercise Program That Will Help You Strengthen Your Back & Eliminate Back Pain for Good! As a renowned Exercise and Injuries Expert, it continues to shock me how many people undergo lumbar spinal fusion surgery to relieve back pain, but then fail to complete the required exercise recovery program. I urge you not to make this same mistake! You don’t want to go through the discomfort and expense of surgery… only to reinjure your back and have your back pain return later. Few things are more discouraging. Still, far too many people give up on their exercise recovery program – so many that I decided to do something about it. 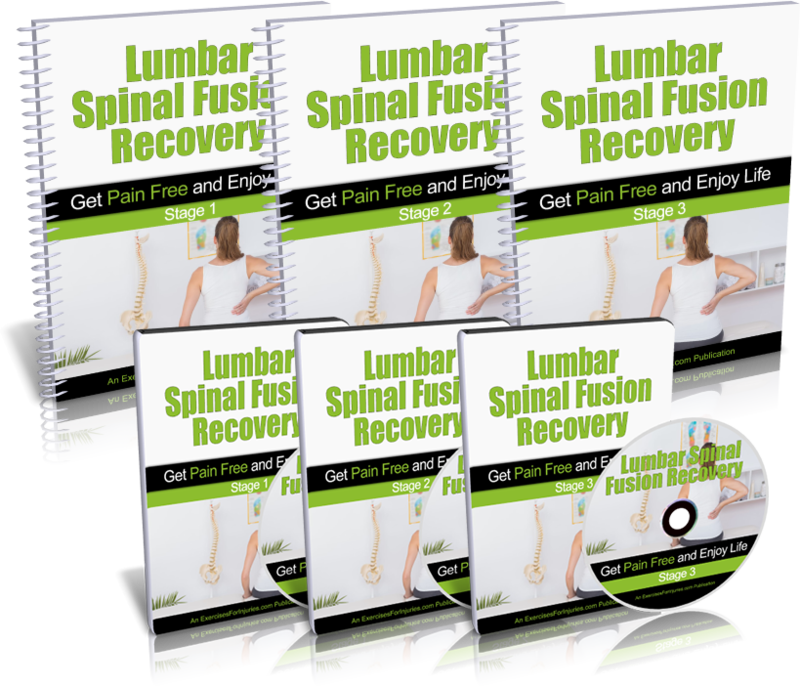 I’ve found the absolute best exercises for Lumbar Spinal Fusion Surgery recovery. And I didn’t stop there. I then determined the least number of exercises that you need to do and put them in the right order and the correct amount to create a program that covers all of the areas that need to be addressed in order to recover from lumbar spinal fusion surgery as quickly and as easily as possible. 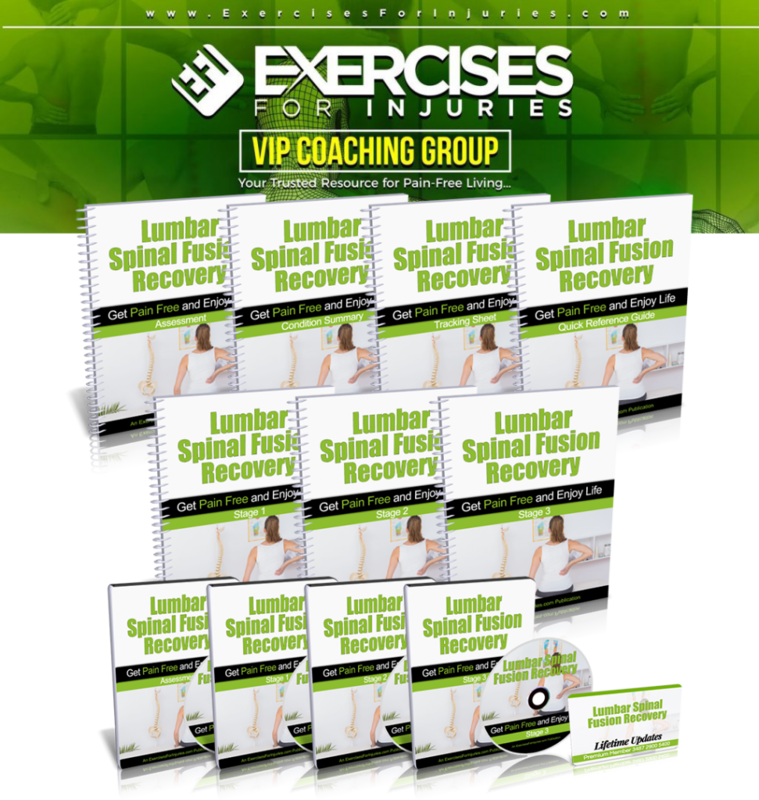 In other words, I’ve created a program that is ideal for fitness professionals who are tasked with helping clients recover from lumbar spinal fusion surgery, as well as individuals who want to take more control over their own recovery. This program includes descriptive guides and comprehensive videos that break down the exercises so that proper form is easy to learn. So why spend all that money on surgery only to continue to feel pain because you were not committed to your recovery? I understand people have busy lives with jam-packed schedules. That’s why I’ve made this program not only highly effective, but also highly efficient. You won’t have to spend hours each day doing time-consuming exercises. With this program, you do exactly the exercises you need to do, in the amount and order you need to do them. There is no extra, no fluff. Fitness professionals – your clients will love you! They will appreciate the impact of the program and the fact that it doesn’t destroy their schedule and put them in a situation where they are in a mad rush trying to catch up all day. If Nothing Else, Remember This: A Proper Recovery Exercise Program is ESSENTIAL Following Surgery! 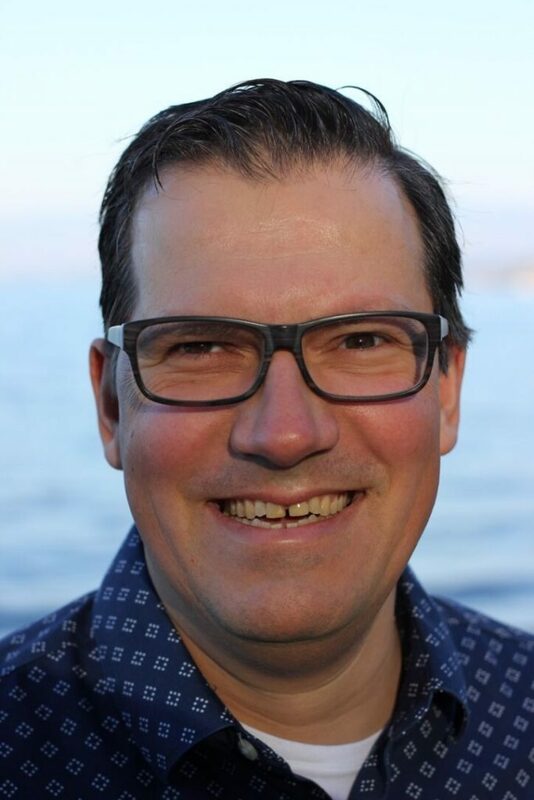 The problem with a lot of recovery programs that are available on the Internet is that you don’t know the qualifications and expertise of the person behind them. And doing the wrong exercises can do a lot more harm than good. You could actually make the back pain much worse – and that’s after going through painful, expensive surgery! I’ve seen individuals end up worse off than they were before. How depressing do you think it is to undergo a procedure to feel better, only to end up worse off than before? Well, I’ll tell you – it is a tremendous gut punch that leaves many feeling depressed and distressed. The simple problem in many cases was that they were doing the wrong exercises, which were aggravating their condition, rather than making it better. These people lost years of pain-free movement simply because they chose to save a few bucks by using some exercises they found online, or by skipping out on the recovery program all together. Let me stress: You just don’t know the motivation or the knowledge level of some of these so-called ‘experts’ out there. It is much better to be safe than sorry. Often with a lot of the free exercises that are out there, key components of a recovery program are missed. Also, the order the exercises are performed can be very important. Doing them in the right order can vastly increase their effectiveness. You also need a program that really stretches the muscles and joints. This is vital for creating good range of motion and flexibility. In addition, after surgery, scar tissue forms and soft tissue contracts. That’s why it is vitally important to stretch the area to maintain flexibility. And one more thing – you need a program that strengthens the area where you had the surgery. This will help you increase stability and improve balance. It just so happens that I’ve created a program that does both of these things – helping you to avoid reinjuring your back and feeling more back pain. My Lumbar Spinal Fusion Recovery Program is the result of 6 years of University study (including a Master’s Degree in Exercise Science), over 24 years of hands-on experience, constant searching for the best lumbar spinal surgery recovery techniques, and teaching these techniques to thousands of other fitness & health professionals who have then used them to help their clients - plus thousands of personal training sessions with injury and lumbar spinal fusion surgery clients, and the careful scrutiny of over 8 medical studies. What I’ve discovered is that the body is truly an amazing creation – capable of healing itself from some of the most horrific injuries, and by doing simple exercises, we can actually help our bodies heal even faster. Now that I’ve told you about myself, let me tell you about my program. At last, there is a comprehensive, yet simple to follow program that contains the exercises you need to know to recover from lumbar spinal fusion surgery. You receive manuals that walk you through the entire program in an easy to understand manner and videos that show you exactly how to perform the exercises… along with a lot more. Plus, the program contains an assessment guide so that you can assess your condition following surgery. It also includes a Quick-Start Guide that will show you the fastest way to get started so that you can enjoy pain relief as quickly as possible! You get a video, manual and fill-in sheet to help you assess your current condition. The video and manual walk you through how to assess your current condition following surgery. This is important to do because the level of pain and discomfort will differ from person to person. 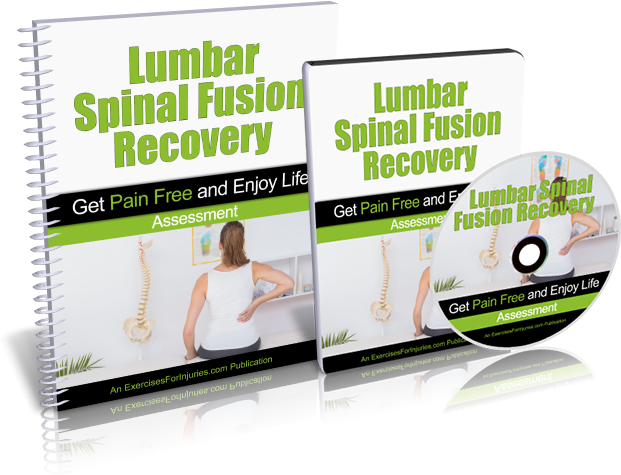 You’ll record your assessment results on the fill-in sheet and based on your findings, you’ll know exactly where to start in the Lumbar Spinal Fusion Recovery Program. This assessment process is critical to ensuring you get the best results possible from the program. 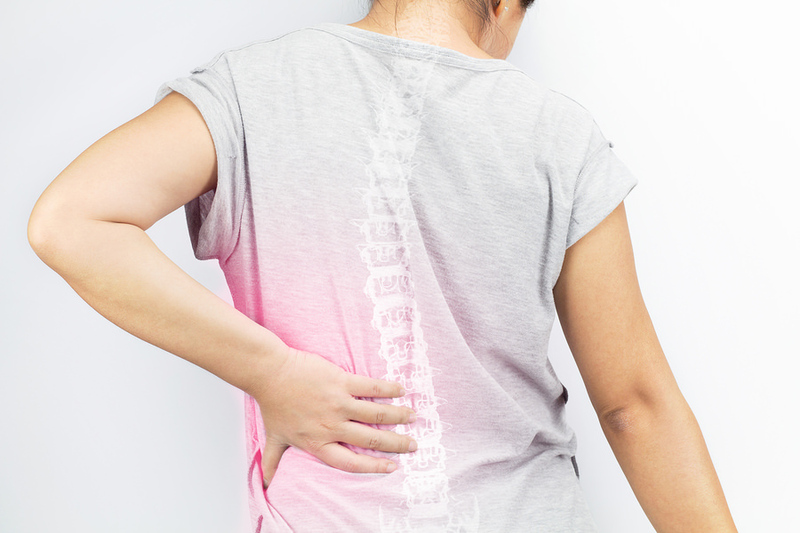 The Lumbar Spinal Fusion Recovery Program is filled with a lot of beneficial information, but I want you to be able to get started and experience results as fast as possible. So, I created this guide which distills all the content down to the bare essentials you need to know to get started fast. Give you everything you need – exactly how many reps and sets you should do, time and intensity, what you should feel as you do the exercises so you know you’re doing them right and more. You also receive 3 follow-along videos - 1 for each of the 3 stages. These videos are your very own personal coaching sessions with me. In them, you will do each of the exercises following right along with my exercise assistant, who does them on video with you, while I count out time and reps, and coach you along the way. 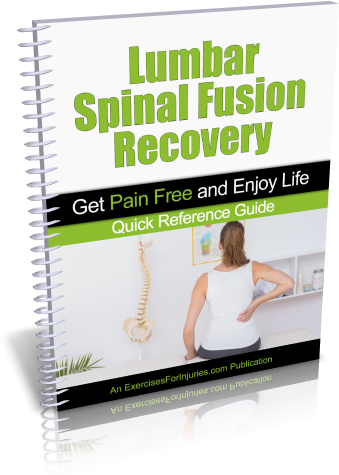 The Lumbar Spinal Fusion Recovery Program is filled with the expert tips and exercises that will allow you to eliminate discomfort and pain as fast as possible. Plus, with the videos, you can see exactly how to do the exercises, so you can avoid using bad form which could negatively impact your results. 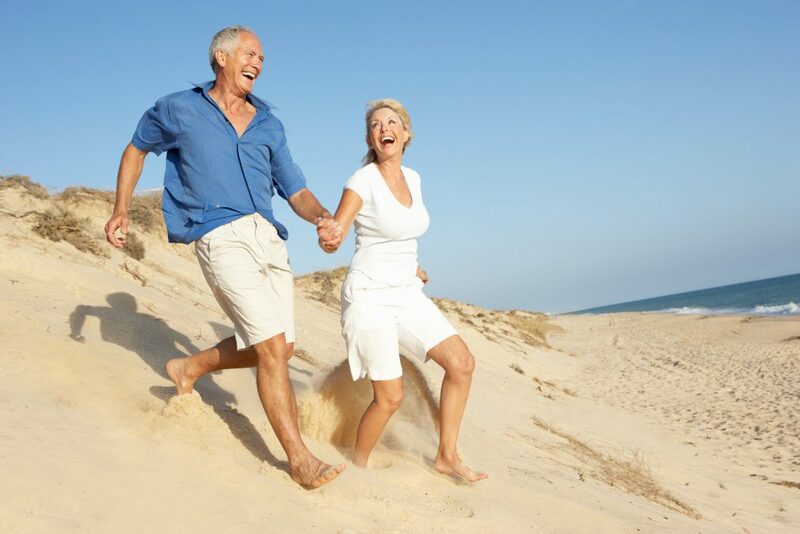 Save yourself money and frustration – get The Lumbar Spinal Fusion Recovery Program today and restore pain-free movement! Don’t risk doing the wrong exercises that can make your condition worse. This program is not just a bunch of exercises thrown together with the hope that they will relieve your pain. This is a carefully designed system that has already helped many people decrease and eliminate their back pain. 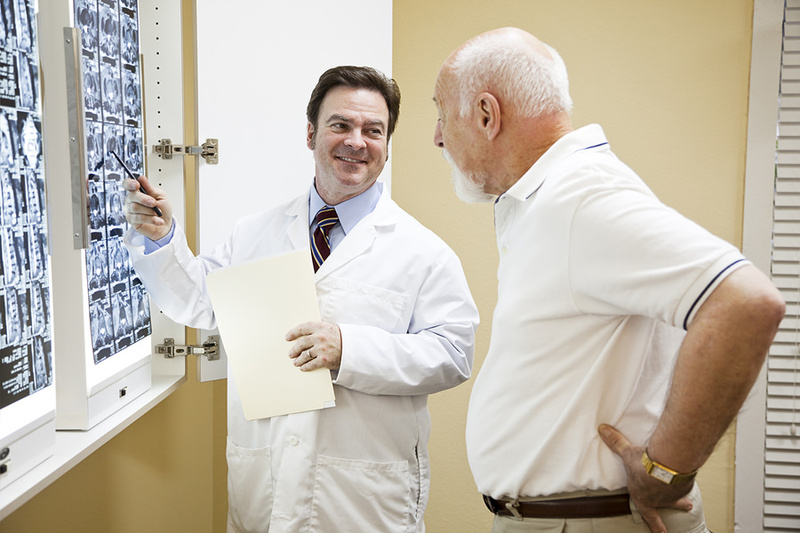 The Lumbar Spinal Fusion Recovery Program is the result of years of scholarly medical research and feedback from real-world tests and experiments with hundreds of clients. 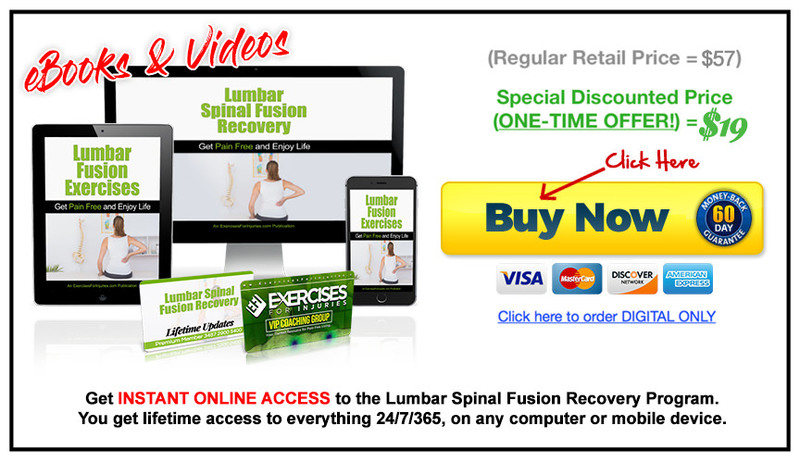 Get The Lumbar Spinal Fusion Recovery Program today! For just $19 you could save hundreds in medical costs. 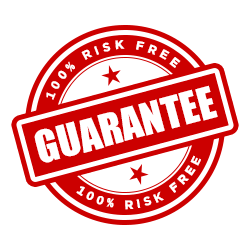 I am so sure that you will love the Lumbar Spinal Fusion Recovery Program that I am offering an unconditional 100% money-back guarantee. That’s EIGHT FULL WEEKS to put this program to the test! I don’t think I can be any fairer than that. Eliminate your back pain or get your purchase price back!